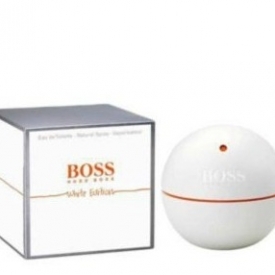 BOSS in Motion White Edition is an engaging masculine and positively energising new scent. It is bursting with bright freshness and opens with a delightfully fresh accord of blood orange. At the heart, the muskiness of cinnamon bark, saffron and black pepper gives the fragrance a captivating and sensual edge. The base is composed of vetyver, which enhances the masculine woody character of the scent. 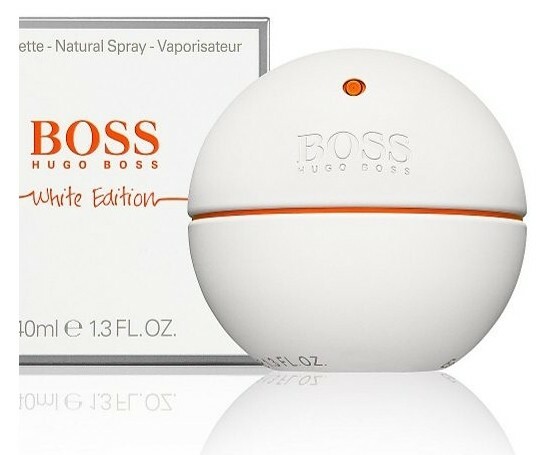 Boss In Motion White Edition is a distinctly masculine and energising scent. Boss In Motion White Edition opens with a rush of energy for the senses, a delightfully fresh accord predominantly delivered by the blood orange note. In the heart musky notes including cinnamon bark, saffron and black pepper gives the fragrance a captivating and sensual edge. Vetyver in the base notes enhances the masculine woody character of the scent. The result is an enticing combination of extreme musk notes and invigorating freshness, together creating an engaging, energising, masculine scent. My husband used this and it smelt very manly and fresh its very nice and the fragrance stays well. Very powerfull and manly fragrance its really energizing and noticeable throughout the whole day. The bottle is very edgy and different. Citrus but so light that it doesn't really make an impact. It does have some mid tone impact but overall this doesn't impress. "My husband used this and it smelt very manly and fresh its very nice and the fragrance stays well."